Apr. 4, 2019 9:03 a.m.
Tiller’s Folly is coming back to Harrison Hot Springs for a night of songs and stories, as part of the seventh concert in this year’s Season of Performing Arts for the Harrison Festival Society. 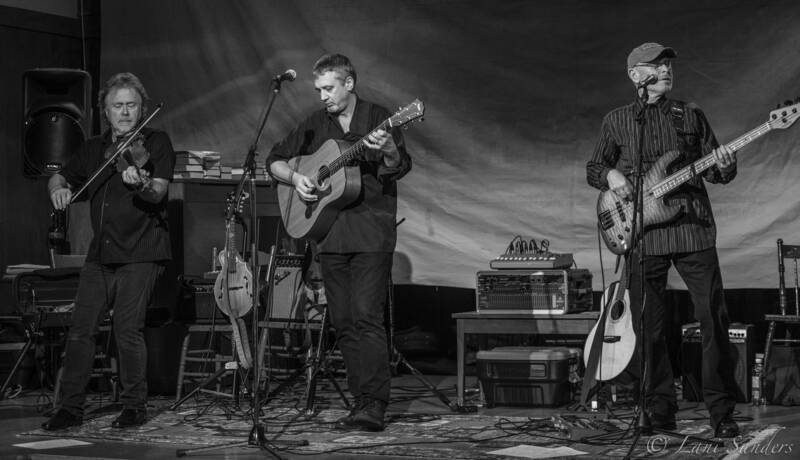 Tiller’s Folly is perhaps best described as a Canadian Celtic trio-turned-historians, and their return show to Memorial Hall on Saturday, April 13 will bring an engaging mix of skilled songwriting and playing. The origins of the west coast folk band lie with Bruce Coughlan, a sixth-generation Canadian with a strong connection to his Celtic roots. The Harrison Festival describes Coughlan as a “true bard (a collector of songs)”; through his songwriting, he’s led the band from a life of performing Celtic music to becoming interpreters of the genre. Along with vocalist Coughlan is mandolinist and fiddler Nolan Murray, who came to Tiller’s Folly in 2002 after a touring and recording career spanning decades. Murray has left his mark with performers as iconic as John Fogerty, The Irish Rovers and Loretta Lynn, and in joining Tiller’s Folly has pushed the band to encompass an ever-widening range of styles. Bassist Laurence Knight is the final member of Tiller’s Folly, and a 40-year veteran of western Canada’s music scene. Although his first love is rhythm and blues, Knight eventually shifted to folk music and has performed with well-known musicians in both styles. The band will showcase their unique style on Saturday, April 13 at Harrison’s Memorial Hall starting at 8 p.m. Tickets are $25.50 and available online through the Harrison Festival Society’s website.